DIE FAMILIE is having it’s türkish Premiere. 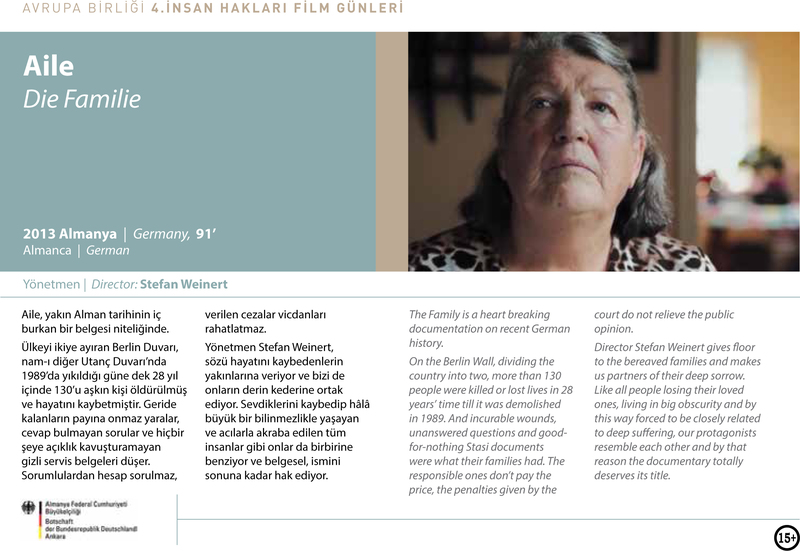 The director and Producer Stefan Weinert will be in Ankara and Eskisehir for the Premiere and the Q&A. All over the world the topic of people who got damaged under SED-Dictatorship by the stasi is shown and discussed in human rights film festivals without Germany and Austria. Very interesting how germans who are involved in human rights look at the victims of the last german Dictatorship.